If you"re looking to get rid of grease/ dust/ spills/ smears/ fingerprints etc from glass or other surfaces/ such as table tops/ worktops/ car windscreens and tiles/ the amazing Glass Wizard will do all the work. You simply just wipe and clean. 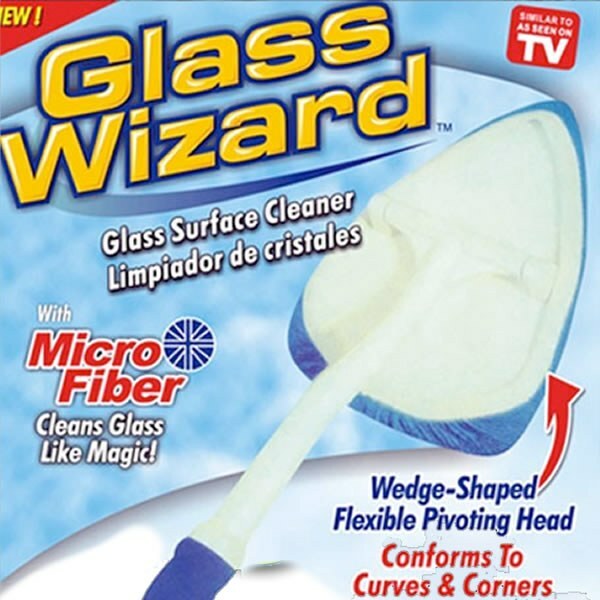 The Glass Wizard cleans streak-free/ is reusable and is washable/ too. This product comes with two cleaning cloths and a grimebuster bonnet (ideal for that really hard to remove dirt)/ as well as a spray bottle which can be filled with water. 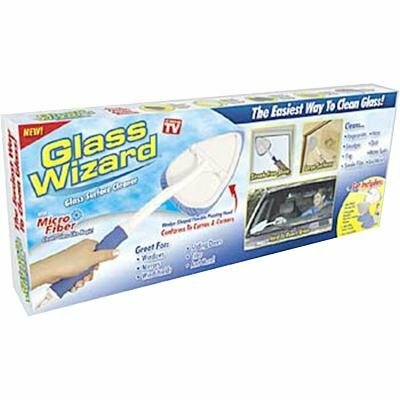 The Glass Wizard also has a screw thread/ so a pole can be attached if required and you can then easily clean any areas that are out of reach. There"s also a useful loop on the handle so the Glass Wizard can be neatly stored away.